The news that UK cities are now barred from bidding to be European Capital of Culture 2023 has taken the nation by storm. The ruling by the European Commission, which cited Brexit as its main reason, came just days before five UK candidates – Belfast, Dundee, Leeds, Milton Keynes and Nottingham – were due to present their bids to the selection panel. The timing is unfortunate, and responses of outrage and disappointment from the bidding cities – and the British public at large – were only to be expected. I am one of the experts appointed to the selection panel – and an academic expert on the long-term legacy of holding the title of European Capital of Culture (ECOC). I have been documenting the experience of ECOC cities since 2002, starting with the ten-year legacy of Glasgow 1990, and then moving on to Liverpool 2008, a city whose ECOC journey I have researched from 2003 into its 10-year anniversary next year. My work has taken me to cities, large and small, throughout Europe. I have documented the first 30 years of the programme, identifying the factors for success – as well as the most common challenges – for over 60 cities in more than 30 countries, since 1985. The UK has held two ECOC titles – both of which are widely thought of as among the most successful in the history of the initiative. Glasgow 1990 pioneered approaches to culture-led regeneration and in doing so proved that a post-industrial city with a reputation for knife crime, poverty and poor health could transform its image and become renowned as Scotland’s leading creative hub. Almost 20 years later, Liverpool 2008 demonstrated that – at a time when nearly every other UK city declared itself a “creative city” with a “cultural regeneration” agenda – it was still possible to do something distinctive. 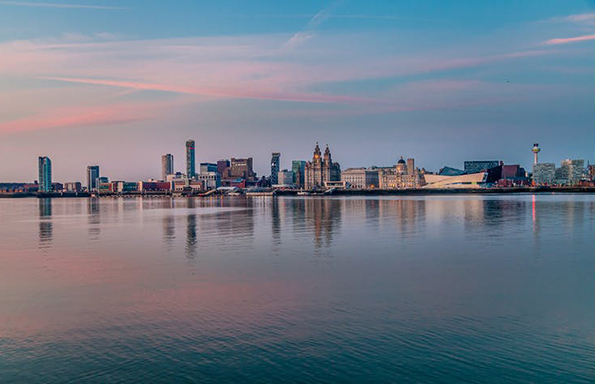 Liverpool underwent a profound urban renaissance, notably through revamping its creative reputation, revitalising its poorly performing tourist economy and advancing meaningful social and community engagement. After more than 15 years researching the impact and legacy of this EU initiative, I have gathered extensive evidence about the transformative impact that hosting the ECOC has had on Glasgow and Liverpool. The same can be said of Lille in France or the Ruhr region in Germany. It’s not so surprising, then, that the UK candidates remained firm in their ambitions to become the next European Capital of Culture, even after the Brexit vote put a strain on the UK’s relations with the EU. Their commitment to developing their bids – and to funding partnerships across the continent – should be acknowledged as evidence of ongoing pride in, and support of, the heritage shared by Britain and Europe. In this sense, the continuing bidding efforts should be read as a significant symbolic gesture, which will bring direct benefits for artists, performers and cultural institutions not just in the UK, but across the EU and Europe at large. It’s not just a one-way benefit. It goes without saying that any UK city named as a city of culture benefits from the increased attention, international expertise and mature network behind this three-decade-old initiative. But the ECOC programme itself has benefited from the unrivalled fundraising capacities within the British cultural sector, as well as the UK’s proven capacity to host innovative cultural events and use novel approaches to whip up public support and media attention. Look no further than the London 2012 Olympic and Paralympic Games – which included the largest Cultural Olympiad to date. Or the founding of the UK City of Culture initiative – from which Hull has enjoyed significant benefits throughout 2017. The fallout from the European Commission’s decision shows how dangerous it is to think of Brexit as a purely legal exercise. Relatively small initiatives (in EU funding terms) such as the ECOC nonetheless have huge symbolic value. Their impact has been felt not just by the cities hosting it, but by the many others inspired by the capacity for change that a year-long celebration of culture – and cultural exchange – can bring. It is true that, in a globalised world – and with pressure to pursue local regeneration agendas, first and foremost – exploring the European dimension of the initiative has often been challenging. But the incentive to consider what it means to be European, and to reflect this through creative programming, has pushed host cities to explore links and histories which they might otherwise have forgotten. For instance, the Cities on the Edge programme – which came directly out of Liverpool’s City of Culture status in 2008 – linked the port cities of Liverpool, Marseille, Istanbul, Gdansk, Bremen and Napoli in previously unexplored ways. What’s more, there is increasing support to advance European collaborations, exchange and working together with the other ECOC hosts which, after 30 years, have formed a strong and mutually supportive network. In 2008, Liverpool and Stavanger explored partnership options for the first time, and opened routes for ongoing collaboration in their approach to citizen volunteering, which continues to this day. Now it is time to look beyond the political posturing and finger-pointing by both UK and EU politicians and consider how to ensure that the hard work already done by the five bidding cities takes them, and the rest of the country, in a fruitful direction. As an expert appointed to the ECOC selection panel, I have signed an open letter highlighting the importance of opening up – rather than closing down – routes for cultural exchange and cooperation. After the furore generated by the decision leaked on November 23, I know behind-the-scenes discussions are in progress to try to find a suitable solution. I hope that representatives within both UK and EU institutions come to an agreement so that it is possible, in 2023, to have a version of the ECOC in the UK. The UK may be leaving the EU, but it is not leaving Europe.